The Submariner is one of the most famous diving watches in the world and one of Rolex's most beloved models. 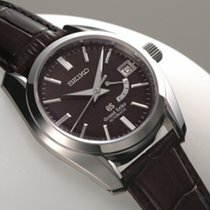 The timepiece is available with or without a date display (called "Date" or "No Date," respectively). The No Date version costs around 6,200 euros, while the Date model costs about 7,300 euros. If a date window is present, the watch also has a magnifying lens, known as a Cyclops lens, to improve readability. This lens makes it easy to distinguish between the Submariner and Sea-Dweller models. However, since 2017, the new 43-mm Sea-Dweller (126600) has featured a Cyclops lens at three o'clock. This model is so popular that its value has already risen: It originally had a list price of 10,350 euros, but that has since risen by about 1,000 euros. Rolex stopped producing its predecessor (116600) in order to allow newer models to become rare in the future. Currently, you can purchase this Rolex diving watch for 11,500 euros new. It's the perfect opportunity for an investment, as its price is predicted to increase over time. Rolex's famous Daytona chronograph is also highly sought after by collectors. 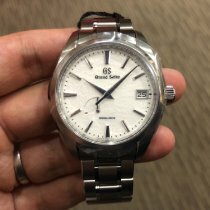 The stainless steel version is an especially solid investment, as these timepieces, like the Sea-Dweller, sell for over their original list price as new watches. This is due to the fact that you often need to wait long periods of time to buy a watch in-store. 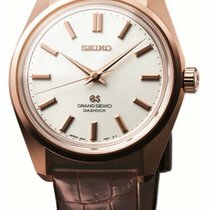 However, if you buy online on Chrono24, you can get the watch significantly faster. A stainless steel Daytona (116500LN) has a current list price of 11,300 euros. If you can't or don't want to wait, you should plan on paying at least 15,700 euros. The watch manufacturer Breitling is world famous for their pilot's watches and chronographs. Their most beloved models include the Avenger and Avenger II. The Avenger was only produced until 2013, making it difficult to find new models. Pre-owned Avengers are available for around 2,500 euros. With a bit of luck, you'll find a new version for only about 1,000 euros more. In contrast, you can find countless new Avenger II timepieces with prices starting at 3,400 euros. Another popular Breitling timepiece is their Superocean diving watch. New non-chronograph versions are available for around 2,300 euros. 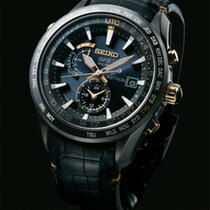 If you want a chronograph, however, you should plan on spending at least 3,200 euros. IWC, based in Schaffhausen, Switzerland, is another famous producer of pilot's watches. Their Pilot's Watch collection inspired what is now the standard look of pilot's watches. 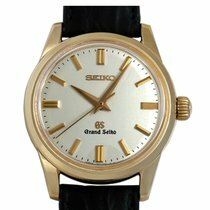 A classic three-hand watch with a black dial and luminous numerals and hands costs around 3,200. Of course, chronograph versions are also available, which cost around 4,000 euros new. One of IWC's leading models is the Portugieser, a classic, elegant wristwatch available in different versions with a variety of complications, including a chronograph. You should plan on spending around 5,000 euros on a Portugieser Chronograph . Though the company was only founded in 1980, the brand has already established a large fan base. Their Big Bang collection is especially popular and is defined by its eye-popping, distinctive design and large case. The collection has watches for women as well as men. One big hit is the Big Bang Unico chronograph with an in-house caliber, a perfect choice if you're looking for a gold watch. The timepiece is available in titanium, ceramic, or gold. Hublot offers a unique, patented case material called Magic Gold, a scratch-resistant gold alloy with ceramic mixed in. A titanium Big Bang Unico costs around 13,000 euros, while a Magic Gold watch costs about 25,000 euros.